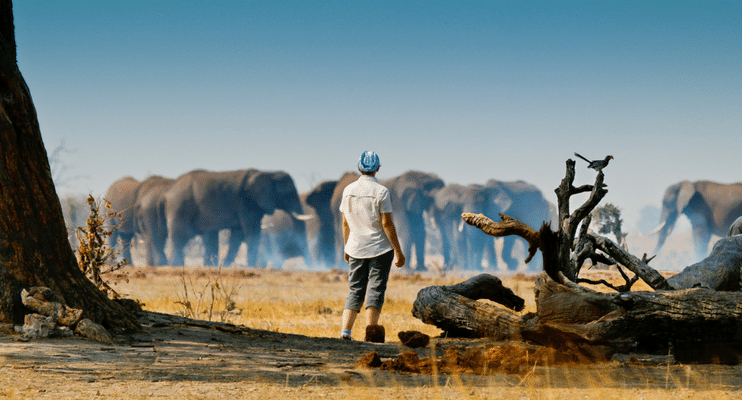 The best Botswana Camping Safari in Africa is one that is wild and free! 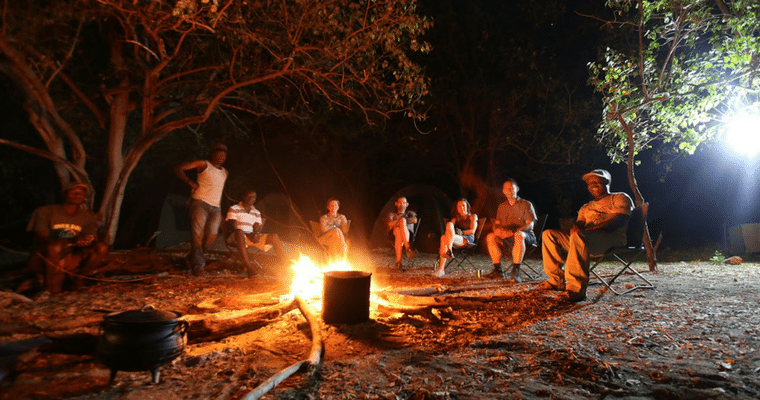 The Botswana Wildside Camping Safari is just that, with 7 nights spent wild camping in Botswana’s iconic parks and reserves including the Okavango Delta, Moremi, Savuti and Chobe. 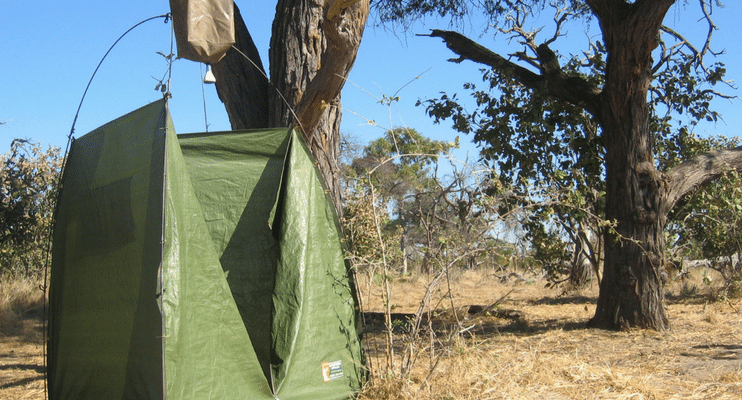 For the rest of the time the group pitches its tents at a designated camping sites that have hot showers and flush toilets. You will also spend a night at Khama Rhino Sanctuary where your entrance fees go directly to supporting this community run Rhino conservation area. A great place for fees to be sown into! 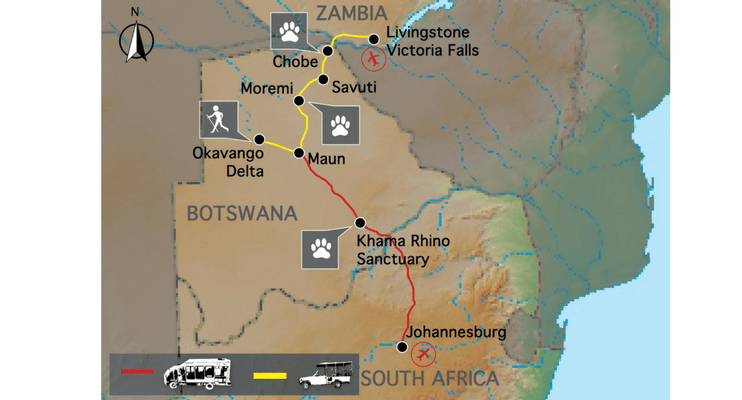 Other highlights include a wildlife cruise on the Chobe River and the magnificent Victoria Falls. Departing Johannesburg at 06:30am we head north into Botswana. We pass Serowe, birthplace of Botswana’s first president, Sir Seretse Khama, on our way to the Khama Rhino Sanctuary. 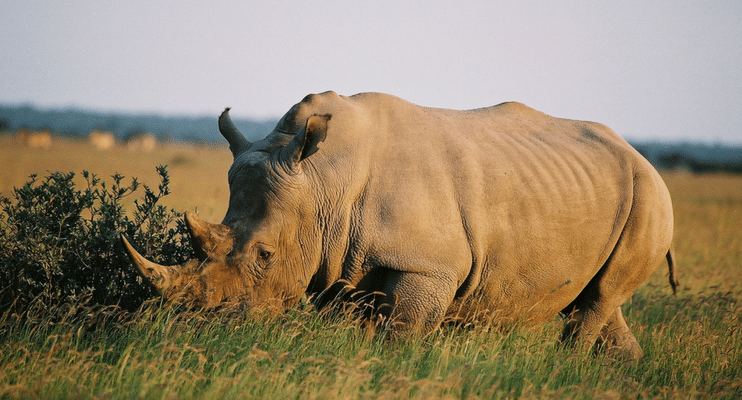 This 4300 hectare reserve situated on the Kalahari sandveld, has several natural waterholes and provides prime habitat for white rhino, zebra and wildebeest. 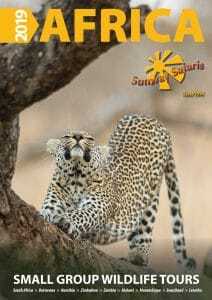 We take our first game drive around the open grassland of Malema and Serowe Pans. 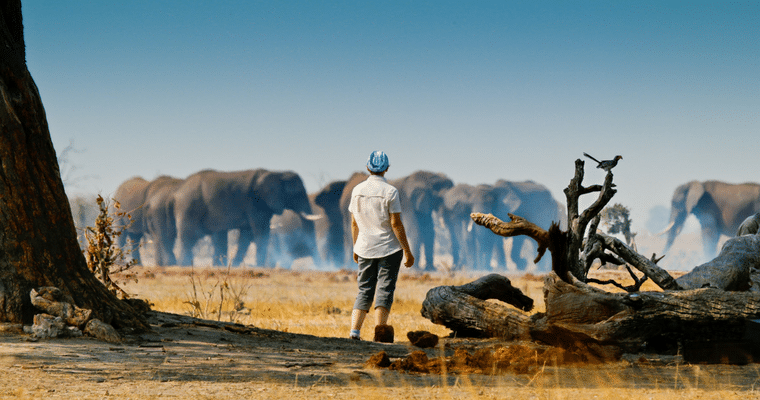 We drive through the Kalahari to Maun, the gateway to the Okavango Delta. 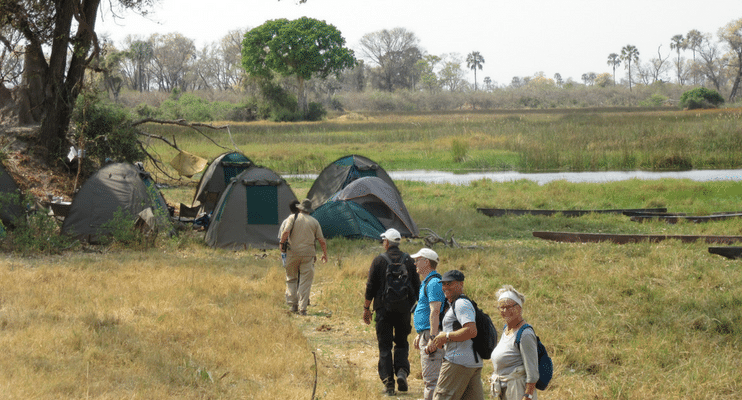 Situated on the banks of the Thamalakane River, Maun is a bustling frontier town where we prepare for the delta excursion. After setting up camp we have a relaxing afternoon at the swimming pool. 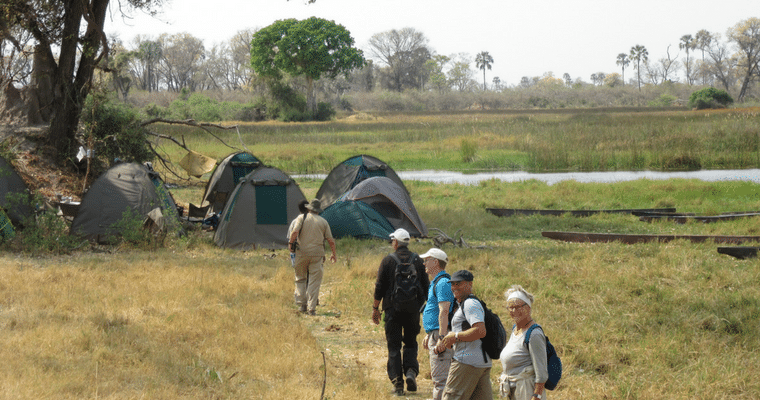 Our local guides will take us deep into the heart of the Okavango Delta on mekoro (dugout canoes). The delta forms as water flows from the Angolan highlands out over the Botswanan flat Kalahari Desert sands creating a delicate, green oasis for birds & wildlife. We will camp wild on remote islands in this amazingly dynamic environment & enjoy bush walks, bird watching & swimming in the clear water. Camping with our local guides we learn more about their lifestyle & culture. We return to Maun in the late afternoon of day 5 and have time for an optional (own expense) game flight over the Okavango, which will reveal a different aspect of the delta. We have 4 nights in these conservation areas with time to explore the various habitats. 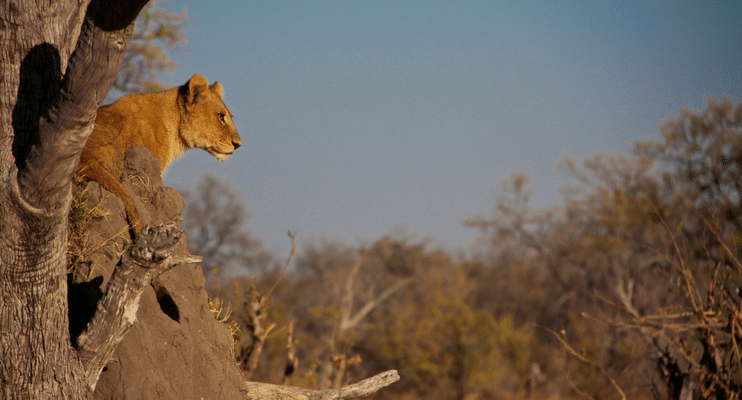 We spend our time on game drives watching the plentiful wildlife including wild dog, elephant, hippo, buffalo, lion & other game. Moremi Game Reserve rates as one of the leading wildlife areas of the world and we take our open 4WD vehicle into Moremi for fantastic game viewing! Grasslands, floodplains, forests, lily lagoons and winding water channels combine to form a variety of game viewing habitats. Moving north over the sand ridge and into the Mababe depression we arrive at the Savuti Marsh. This open grassland area attracts herds of zebra and wildebeest, which in turn draw the large lion prides for which Savuti is famous. 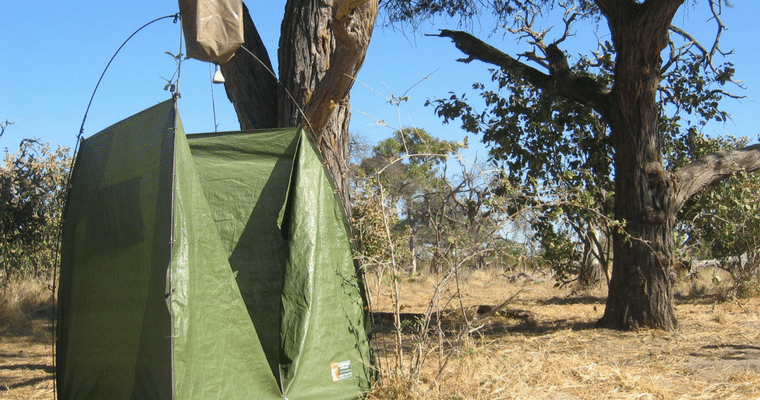 We camp wild in the central Chobe National Park at either Savuti or Zwei-Zwei. The Chobe River flows lazily along the northern boundary of the Chobe National Park attracting some of the largest herds of elephant in Africa. 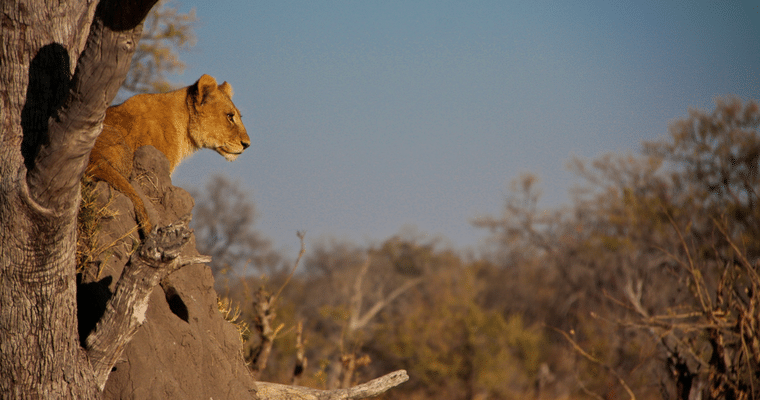 In the early morning, we search for game on the flood plains of the Chobe River. The late afternoon game viewing “sundowner” cruise is a highlight as we see the mighty elephant herds returning to the Chobe River to quench their thirst. 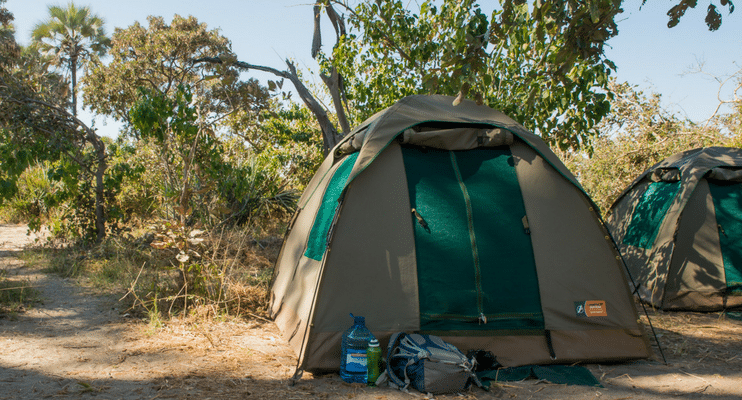 We camp at Kasane on the Chobe River for night 11. 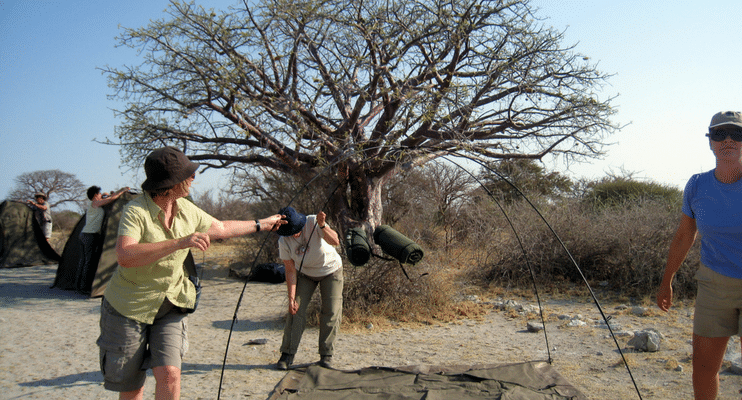 Overnight for 2 nights in Zambia near Livingstone town on the banks of the Zambezi River. Enjoy a spectacular walk through tropical vegetation to the very edge of the “Mosi oa Tunya” or “the smoke that thunders” – Victoria Falls. 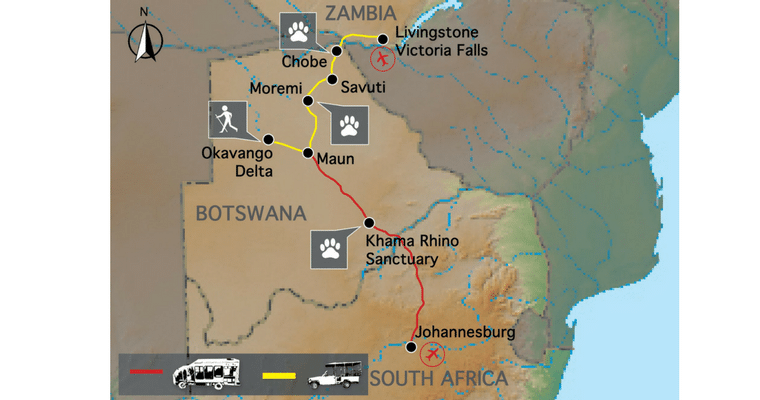 Opportunities to white water raft on the mighty Zambezi River, bungi jump, or take a “flight of angels” (own expense). Tour ends at 08:00 after breakfast. Transfers to local airports are available. 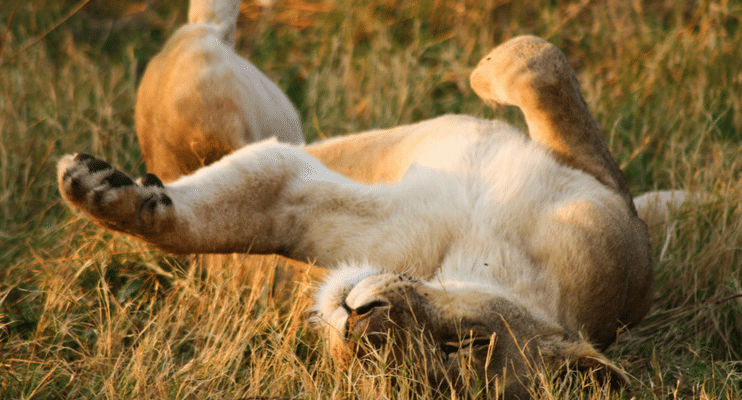 Avoid the long drive from Johannesburg by joining Botswana Wildside on day 2 in Maun or if pressed for time then Botswana National Parks may work. Is a Sunway Safari the RIGHT safari for YOU?